So it won't take you long to realise that I'm a bit of a bargain hunter and that there's no point denying my love of Primark. Ofcourse I'd love to buy all my clothes from Topshop but when you're a struggling student and you can get four jumpers in Primark for the price of one in Topshop it only seems logical! Now I know there is a lot of junk in Primark but in general I really think the quality has improved dramatically over the last year or so. I find the key is to keep your eyes peeled, take your time looking around the shop and if you see something which you really think is going to be a good find then grab it! Because the best things in Primark never last for long. I also know how easy it is to just fill your basket with bits and bobs "cause its cheap" and then get home and wonder what you were thinking so it's really important to not get over excited and really consider what bargains should make the final cut. Now after that little pep talk lets get into the good stuff - what I actually got, I only bought three things this time but I must say I was rather chuffed with my finds. 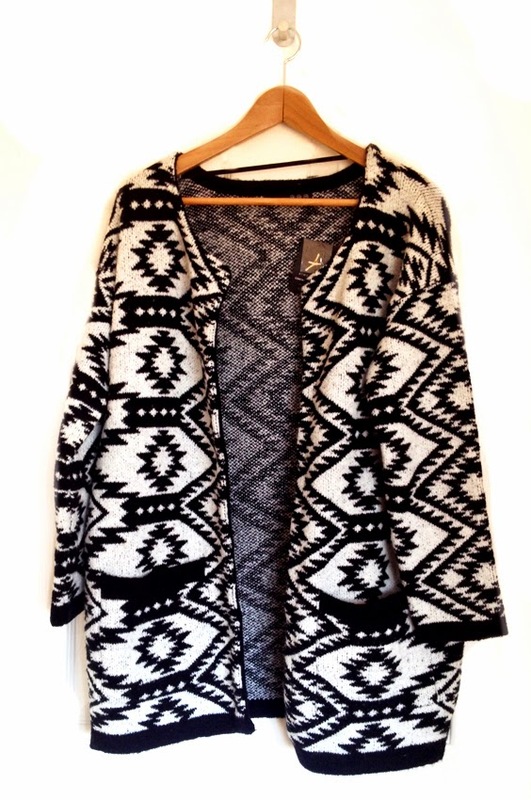 First up I found this oversized Aztec cardigan. I absolutely love this, I tried a similar one on last week and I loved the pattern and style but even in an XS it was still far too big and I just looked ridiculous so reluctantly I put it back on the hanger. Ever since, the thought of a nice chunky aztec cardigan has been playing on my mind and a few times this week I have find myself sifting through online shops looking for one. You can imagine my joy when I popped into a different Primark this weekend and discovered this little beauty and thankfully this one is a much better size, still big and cosy but this time doesn't make me look like I'm wearing tent! I think it'll be great for chucking on over outfits instead of a coat now we're getting into Spring. The monochrome helps to keep an outfit smart but is also so easy to wear and at £16 I'm sure I'll get my moneys worth. The next thing I spotted was this black jumpsuit, I LOVE this. I've been searching for one for months, I had an image in my mind which nothing seemed to match, nothing under £80 anyway - until this. At first I didn't have much hope as I was expecting to need something from the petite section in Topshop or somewhere so when this fit like a glove I was very impressed and the best thing is that I didn't even have to roll the legs up! I'm guessing it's suppose to graze the ankle but it comes out full length on my short legs but thats fine with me! And the winning factor, it was £17, the perfect black jumpsuit for less than a twenty pound note - amazing! This picture is from the weekend when I wore it out for a meal with friends, I teamed it with a gold statement necklace, a few gold bangles, some simple black heels and it was the comfiest, most effortless outfit ever. 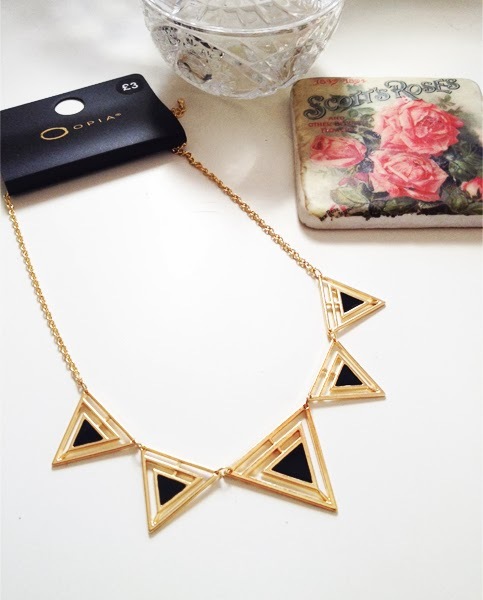 Finally I got this statement necklace, I was never a big Primark jewellery hauler until I got into statement necklaces. I find that I fall in love with one, wear it to death and then grow to hate it. So at £3 a pop in Primark it means that I don't feel so guilty that I buy a new one every couple of weeks! This one will be great with pastel jumpers for Spring and is different to anything I currently have. So thats that, this weeks Primani buys, I'm sure this will be the first Primark post of many. Now quick get down to the shops before they're gone!